Rotary District Governor Michael Chambers (pictured right) spoke to the Rotary Club of Auburn, Alabama on Wednesday, September 16, 2015. Chambers shared five leadership lessons he has learned through his career and how it applies to the continuing success of Rotary. 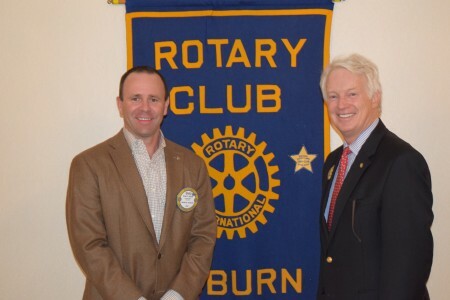 Pictured are: Chambers and Brad Wilson, President of the Rotary Club of Auburn (left).